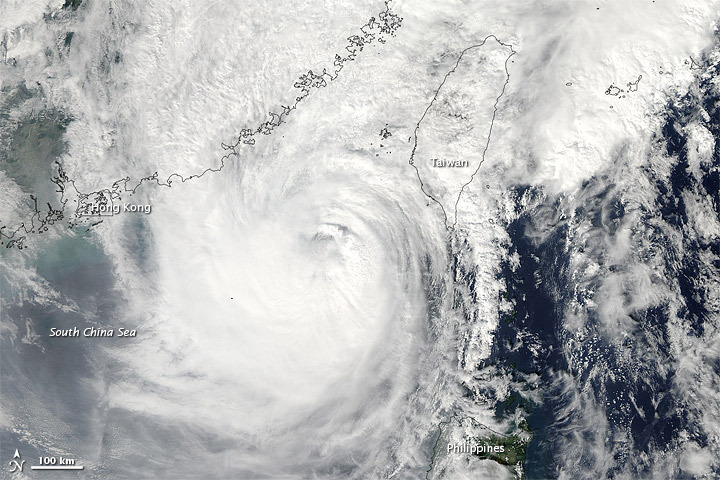 Photo: Typhoon Megi Bearing Down on China! This photo shows the typhoon Megi approaching mainland China. The photo was taken by NASA’s Aqui Satellite on October 22, 2010. The typhoon Megi is expected to the most powerful typhoon to strike China this year.